THEY improv provides Arabian Peninsula cruise ship and yacht entertainment programs that can be brought aboard any vessels to provide a variety of options to entertain a wide array of audiences in multiple ways. With sketch and improv comedy, game shows and murder mystery dinners for entertainment, scavenger hunts and mini-Olympiads for activities, comedy class programs and hospitality training programs for crew, the real advantage to hiring THEY improv is the ability to multi-task and prove more useful than hiring separate groups for individual elements. If you operate or perform the casting for a cruise line or yacht, contact THEY improv about our programs and our ability to rotate casts to keep personnel fresh and reducing actual turnover since you are working with our company rather than the individuals. THEY improv is a professional company with cast members and associates spread throughout the world. The quality and programs we operate are fairly uniform and thus we can plug in a variety of cast members to any needs that your cruiseline or yacht may require. Dealing with one company that can freely swap cast members based on training and availability gives you the flexibility that is rare in our industry. While many entertainment companies will specialize in one style of performance, we are aware of the financial and logistical advantages of hiring staff that can multi-task and deal with multiple audiences in a variety of formats to keep things fresh without having to transport, carry and feed additional crew. This means that you can select from a variety of world-class options for our staff to perform based on your budget and desire. Murder Mystery Dinners - While not always performed during a meal, these shows vary from being strictly a stage show, an interactive show, an immersive show to shows that utilize audience members as characters in the shows either as willing participants or as part of a stand-up comedy routine that we call the Frick & Frack Show. These shows range from 45 minutes to 3 hours depending on your desire. Game Shows - These shows are often conducted either as an after-dinner entertainment or can be conducted at different times around the ship. With small prizes that are easy to carry and are either food/beverage oriented, ship credit or tourist items that are easy to get through customs/taken aboard planes after arrival. 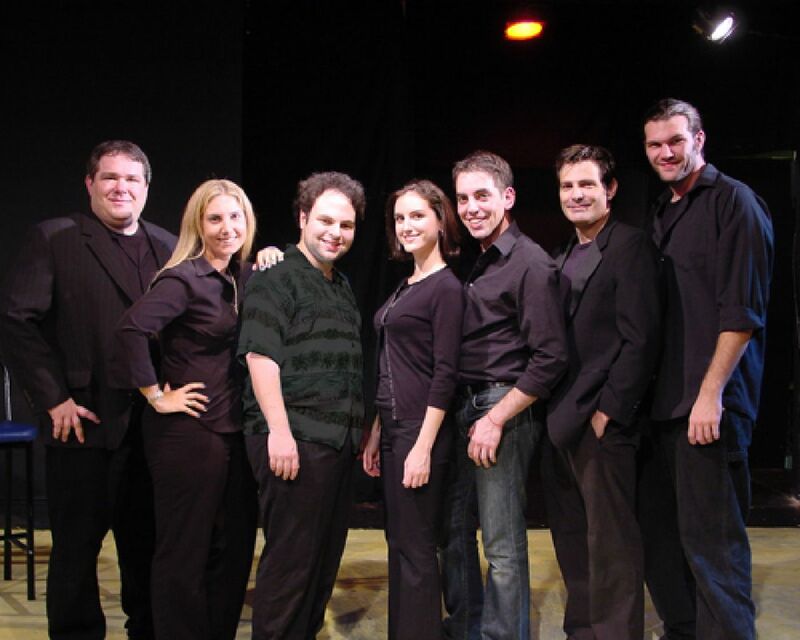 Improv Comedy - These shows are great for any event! The jokes are made based off the audience suggestions, our actors will pull people in and keeping the performance high energy. With the ability to change based on the crowd, these shows can be geared toward families, are perfect for midnight shows and added in addition to our other formats. Likewise, the level of interaction with guests makes it especially popular for yachts. Comedy Classes - We teach improv and comedy classes and can do so during the days and can train passengers to perform at a graduation show towards the end of the cruise. This is a great way to keep children engaged while parents participate in other activities or shore excursions. Likewise, or yachts it boosts the familial aspect of the sailing. Scavenger Hunts - We can develop ship board or destination scavenger hunts that would be conducted during shore excursions. Our professional staff can also conduct on the ground management to turn these into more of an Amazing Race, though this may require additional documentation for each destination to authorize such work. Security, of course, may be of concern with a desire to limit exposure. We can specify specific locations that are part of the event and other areas that need to be avoided. Mini-Olympiads - We can have a variety of activities for teams to participate in, either in a set ballroom or activity center, or in a variety of locations around the ship or yacht. Teams gain points for each activity conducted and look for victory. These activities are usually more fun in nature. Escape Rooms - We can operate an escape room for passengers and can even change the challenges during a cruise to alter the content to make different attempts require a fresh approach to the given puzzles. Emcee Services - Our professionals can help guide passengers through a variety of activities and introduce other acts in a professional and enthusiastic manner. While some of these programs may require multiple cast members, we have programs that could be operated by one or two cast members, reducing the need for cabin space and incidentals such as travel and food. Once you contact our director we'll discuss your needs and come up with a custom designed package for your cruise ship or yacht entertainment within your budget and as logistically friendly as possible. This includes getting an understanding of the time commitment for the performers, the desired activities, amenities for the performers and points of embarcation/debarcation. THEY improv can provide these traveling throughout the Arabian Peninsula including on yachts and cruise ships including sailing from Saudi Arabia, Bahrain, Kuwait, Oman, Qatar, United Arab Emirates (UAE), Yemen, and practically everywhere else in the Arabian Peninsula as well. Some circumstances may require travel or legal documentation that may add to the fee. Simply ask us as we develop a proposal for your event or sailing.